July is emergency month at Vanguard. As hurricane season approaches, our goal is to help you prepare your facility for any and all emergencies that may come your way. We recently covered how to develop an Emergency Action Plan (EAP), which includes preparing for an evacuation. There are a wide variety of emergencies that may require a workplace to be evacuated, including fires, explosions, floods, earthquakes, hurricanes, tornadoes, toxic material releases, radiological and biological accidents. You will want your employees to be able to respond differently to different threats. For example, you may want employees to assemble in one area inside the workplace if threatened by a tornado or a chemical spill on an adjacent highway, but to evacuate to an exterior location for a fire. Most buildings are vulnerable to the effects of disasters such as tornadoes, earthquakes, floods, or explosions, but the extent of the damage your facility will be impacted by the type of building you have. For example, modern factories and office buildings are framed in steel may be more structurally sound than neighborhood businesses. In a disaster such as a major earthquake or explosion, however, nearly every type of structure will be affected. Some buildings will collapse and others will be left with weakened floors and walls. 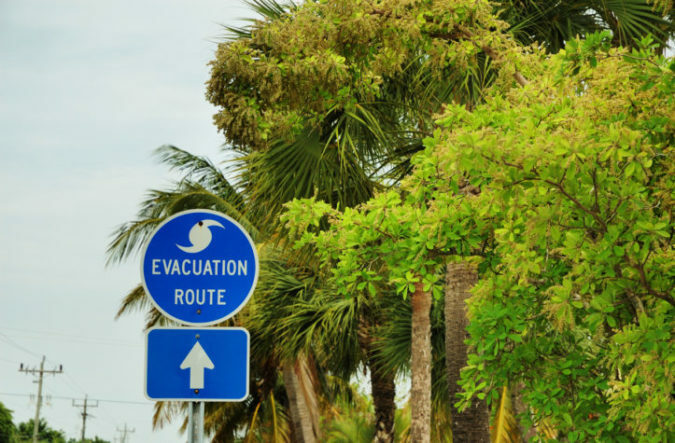 These factors should be considered in your evacuation plan. As discussed in our article on an Emergency Action Plan, you must designate someone to be in charge in the event of an evacuation. At Vanguard, we also recommend you designate a Vice Coordinator in the event that your coordinator is out of the building. You should designate which, if any, employees will remain after the evacuation alarm to shut down critical operations or perform other duties before evacuating. For example, gas and/or electrical systems may need to be shut down and other special equipment could be damaged if left operating, creating additional hazards to emergency responders (such as releasing hazardous materials). In other cases, certain equipment and processes must be shut down in stages, or may be unable to be shut down. You must review your operations and determine which approach is appropriate for each kind of emergency. If people are needed to stay behind, be sure they are well trained in their emergency tasks. At the same time, these employees must be capable of recognizing when to abandon the operation or task and evacuate themselves before their egress path is blocked. Many employers designate evacuation wardens to help move employees from dangerous to safe areas during an emergency. One warden for every 20 employees is a good template. Make sure the appropriate number of wardens is available at all times and for all shifts. Wardens should be responsible for checking offices, bathrooms, and other spaces, and are the last people to exit their designated areas. They may be tasked with ensuring that fire doors are closed when exiting. Wardens should also have a list of employees they are responsible for, so they can ensure everyone is accounted for once outside the building. Wardens should be made aware of employees who may require extra assistance during an evacuation know how to use the buddy system, and any hazardous areas to avoid during an emergency evacuation. Visitors should also be accounted for during and after an evacuation and may need additional assistance when exiting. If you have a sign in sheet for visitors, use this when accounting for all persons in the assembly area. Maps of your building highlighting the nearest exit should be located throughout your facility. Check these maps annually to make sure they are up-to-date. Not only is it important to get employees out of the building, they should know where to go once outside. There may be different safety areas depending on your facility and on what kind of emergency you are facing. Run evacuation drills as often as twice a year. It’s important to that employees know where to go, even if they are out of their normal work areas. Regular drills will help employees to not panic, should an actual emergency occur. By following these steps you will be doing your best to ensure the safety of your employees. For more help on preparing for hazards and emergencies, contact Vanguard Resources.